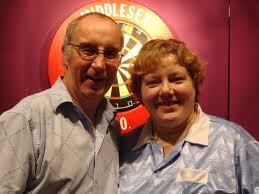 Karen Lawman started to play darts when she was 17. She plays for her county Yorkshire and is member of the English national team. 2006 she for the first time qualified for the BDO Women World Championship and she returned to Lakeside in 2011 and 2012. 2011 was a quite successful year for her - she won the English Open and the Turkish Open, was runner-up of the Welsh Open and stood in the semi-finals of the German Open.